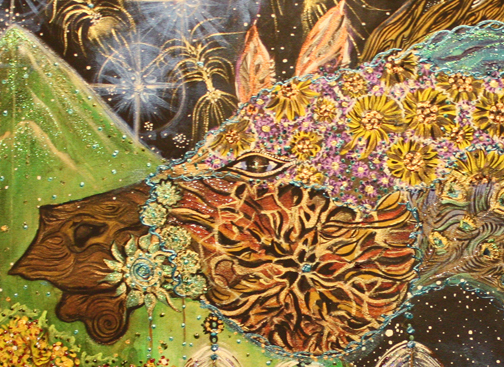 mixed media on canvas Adirondack Caballo 30" x 40"
Teresa's fashions are being worn by patrons in Manhattan, Miami, South Beach, and Caracas, Venezuela. 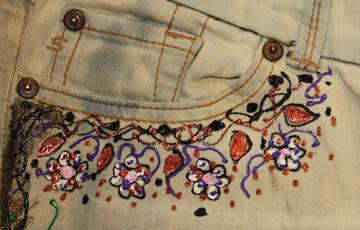 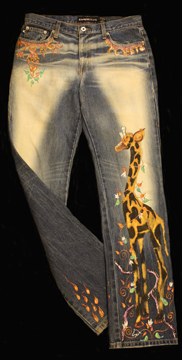 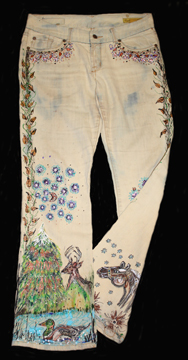 If you would like your favorite jeans, khakis, jean jacket, or cotton shirt or slacks painted by Teresa; call her and discuss your passions, and send her the article of clothing for your original wearable Teresa De Jesus Molinos. 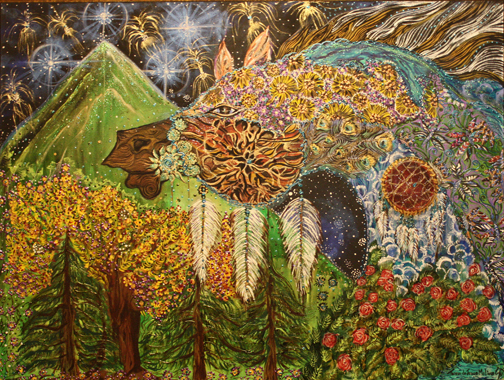 Custom painting prices begin at $80 depending on the amount of detail desired by the client. 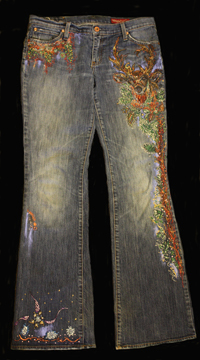 The article of clothing to be painted must be worn and washed a minimum of three times in order for the paints to last.